Saori is from Japan, and Christopher comes from the USA. They are living and working in Germany now. 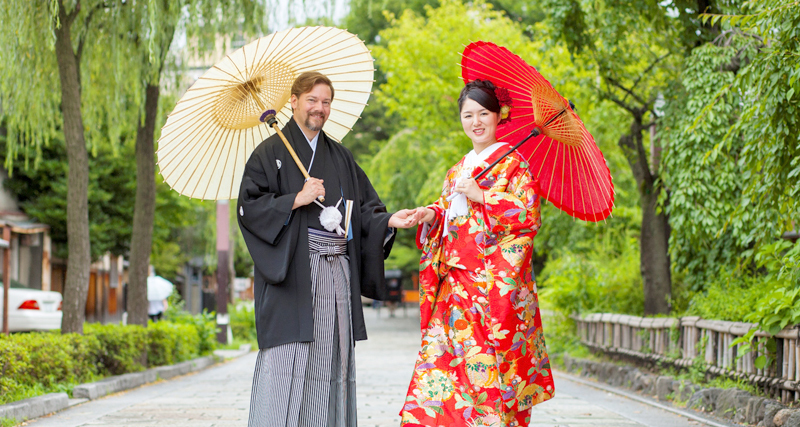 Before coming to Kyoto, they had a wedding party in Saori`s hometown, and Christopher`s parents and friends came to Japan to join them. Everyone loved Saori’s Kimono look. They all thought she was so beautiful!!! Us too! Congratulations on your wedding and have a happy marriage and life together forever and ever.